Here I am in Baltimore all ready for a fun weekend! 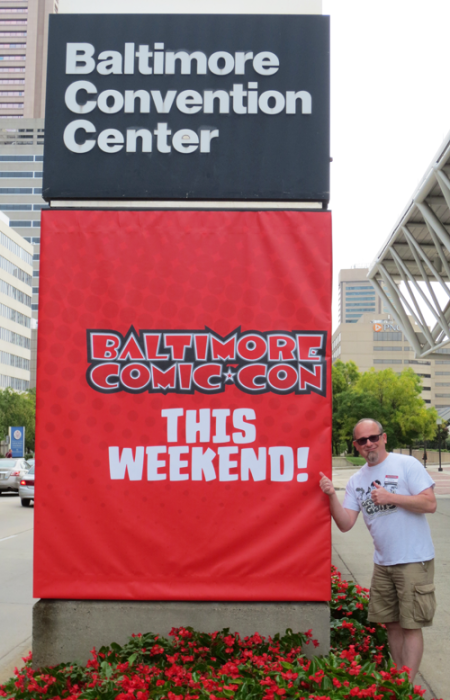 On September 25th -27th I had a wonderful weekend attending my first out of state comic convention in Baltimore. 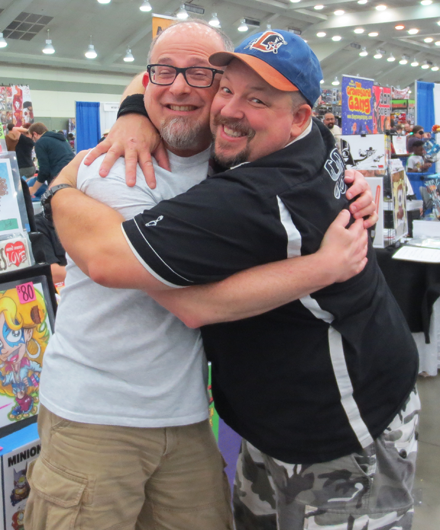 Earlier this year, comic creator Mark Mariano graciously asked me if I’d like to be part of the this year’s ‘Kids Love Comics!’ Pavilion at the Baltimore Comic Con. 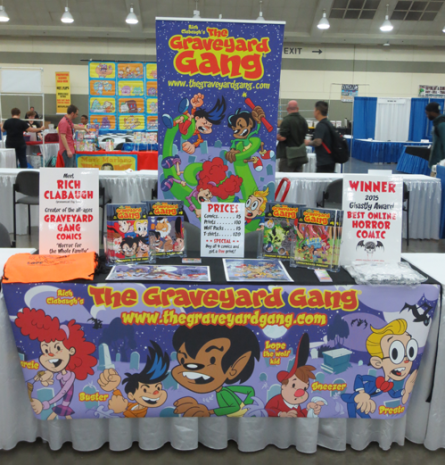 Mark, along with his brother Chris Mariano and comic creator John Gallagher, organize an area of the Con designated to getting kids excited about the world of comics. There is a full schedule of activities and dozens of kid comic creators waiting to introduce younger readers to a wide variety of comics that’s geared for them! So on Thursday the 24th my daughter Angelica and I packed up my car and ventured from our home in Massachusetts to the city of Baltimore. It was a full day of driving (approximately 8 hours with 3 stops) but thankfully it was an uneventful trip. Once we checked into our hotel we walked our stuff to the Convention Center and set up our table for the weekend. There we met up with fellow ‘Kids Love Comics!’ artist (and fellow Werewolf creator) Chris Flick of Capes & Babes and Webcomics Alliance fame. He joined us for some dinner after setting up. It was great to meet in person and get a chance to spend some time together. So nice to meet my fellow Werewolf creator Chris Flick! More words and photos (taken by Angelica, thanks Gel!) on the Con tomorrow! The table is all set for the Con to begin!